Downsizing – moving from big to smaller cars – has become increasingly popular as more and more small cars gain many of the features associated with large cars. But for many drivers, upsizing is a fact of life. As we get older, families grow in number and size and we want a car that can cope with the extra luggage that entails. Unlike swapping houses, you don’t have to pay a tax like stamp duty to change cars so it’s straightforward to upsize to a bigger model. And you’d be surprised at how the budget for a small car will comfortably stretch to a larger model. In this new series, we look at what you get if you already own one £8000 car but want to change it for a bigger, more practical model. Your family has just gone from three to four. A supermini like the VW Polo is fine for zipping around town but you need a bigger boot now you’ve no longer got the rear seat for extra luggage. The answer is a car from the next class up. And they don’t get much better than the Golf. If you have a Polo 1.2 TSI petrol that was first registered in 2014, it will be worth around £8000, depending on its mileage. In order to get the Polo’s bigger brother for the same money, you will have to make a sacrifice. This will either mean an older car or one that’s done more miles. 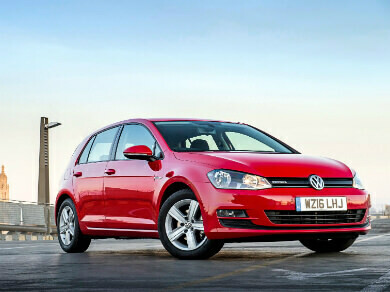 For the same money as the Polo, you’ll get the sixth generation Golf 1.2 TSI that was first registered in 2011 or 2012. If you want to go for a bigger 1.4 TSI petrol or the 1.6 TDI diesel, while sticking to the same age of the car, you’ll be looking at a higher mileage car. Although the Polo feels like a grown-up car with a comfortable ride and well-suppressed noise from outside, the Golf takes things to a new level. In aeroplane terms, if the Polo is a premium economy, the Golf is posh business class. The Golf is a bigger car too, measuring 4255mm long and 1799mm wide. This means there’s more room inside, yielding space for a fifth passenger in the back to sit in comparative comfort. In the Polo’s narrower cabin, they might feel rather hemmed in. The Golf’s boot has much more capacity too. 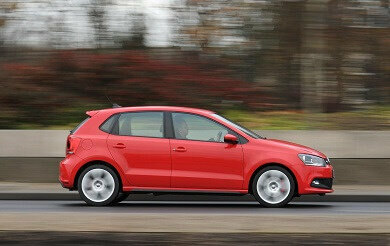 It measures 380 litres which makes it a third bigger again than the Polo’s 280 litres. For other options to a Golf, read about the most economical family hatchbacks for under £10,000, here. Nissan’s perky little Juke was billed as a car for growing families. However, families will outgrow its cabin fairly quickly. Time to get a car the next size up. Like the Nissan Qashqai. If you have a 2012 Nissan 1.5dCi, it’ll be worth around £8000, depending on how many miles it’s covered. For the same money, you’ll get a 2011 model of the Qashqai that’s either 11 or 61-reg, depending on the trim level. It could have the same 1.5-litre turbo-diesel engine or you may want to go for the 1.6-litre petrol version. The first thing to note is that you’ll be buying the previous generation Qashqai. 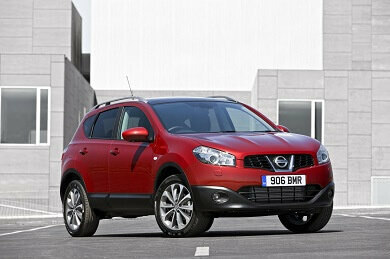 However, it was refreshed by Nissan in 2010 so the model you’ll be getting is as good as this generation of Qashqai got. In fact, it began the British-built Nissan’s ascent to being one of the most popular cars in Britain. At 4330mm long and 1540mm wide, it’s got similar dimensions to a family hatchback such as the Volkswagen Golf. 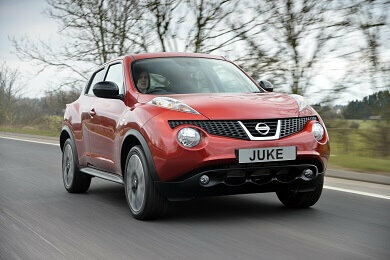 However, at 410 litres, its boot is bigger, though compared to the Juke only by 56 litres or 16 per cent. Where you’ll really notice the difference is in the cabin. Compared to the funky looking Juke the Qashqai feels much more sober and grown up. It’s also far better at isolating passengers from bumps than the Juke. And there’s room for five in comfort whereas back seat passengers will feel rather squeezed in the Juke.